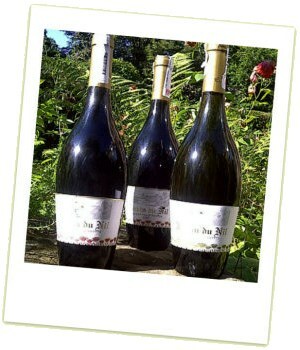 I am opening this article on the wines of Jardin du Nil with an apology. Three years ago I reviewed a range of wines from Sahara Vineyards in Egypt. Having seen the review, in 2010 Jardin du Nil were kind enough to send me some samples of their Egyptian wines. The samples were not tasted immediately and somehow slipped to the back of my tasting cellar. On rediscovering these three wines in summer 2012 I decided to open and taste them, even though I feared the white wine in particular would not be at its freshest. My tasting notes on these wines follow, after two years of imperfect storage. The main vineyards are located 50km north of Cairo, on the Desert road to Alexandria, with a total planted area of 400 acres, planned to reach 500 acres by the end of this year. There are other vineyards in the Sinai peninsula near the border with Israel and Jordan, and 120 acres more in Minya in Upper Egypt. Clearly heat and lack of water are two of the main challenges to winegrowers in Egypt, and various experimental plantings have seen Kouroum focus on Cabernet Sauvignon, Merlot, Syrah and Petit Verdot for red wines, Chardonnay, Vermentino, Viognier and Muscat d’Alexandrie for white wines and Grenache, Montepulciano and Merlot for rosé. One local white grape called Bannati was found in Minya and is said to be yielding excellent results. Irrigation wells up to 100 metres deep feed drip lines along every row. It is interesting that I should rediscover these samples just at a time when less familar wine places seem to be having the spotlight thrown on them: Marks & Spencer have recently launched a new range including wines from Israel, Lebanon and Turkey amongst others, The Wine Society has been promoting wines from Morocco, Slovenia and Romania, and Waitrose has just listed wines from China and Brazil. Whilst there might be relatively few of these wines that are ground-breaking in any way, the chance to taste something new, from somewhere new, is always interesting. I’d happily enjoy a glass or two of these Egyptian wines in the future. The wines are not currently in the UK. A blend of Chardonnay and Vermentino, this showed a touch of oxidation which I am certain is entirely down to my mistreatment of the wine. But beyond that there is good varietal character here, with the lemony quality of the Vermentino and crisp apple of the Chardonnay fruit. On the palate is quite soft and low in acidity, with a pleasingly mellow touch of honey to the orchard fruits. It could perhaps be a little more concentrated, a little sharper, but given that it is from 2008 it still delivers a very enjoyable mouthful of wine. It would be unfair to score this sample, but it is clearly a wine of good quality. A blend of Cabernet Sauvignon, Merlot, Petit Verdot and Syrah, this has a very appealing and attractive nose, with plenty of meaty ripeness moving into bloody and stewed Italian tomato, but with solid red berries too. On the palate again the acid is low, but this has very good overall balance, the fruit quite savoury, fleshy and ripe, the soft tannin structure and enough acid to give it a bit of a chewy edge, and decent length. 86-87/100. I am looking for it all over Cairo and cannot seem to find it. Hi, unfortunately I have no knowledge of Egyptian suppliers, or whether this wine is still being made: my review is over six years old and I see the link I had to the winey is no longer working, so my apologies but I cannot answer your question. The wine I believe is made in El Gouna on the red sea. It is widely available there. You could also try cheers alcohol supplier as I think they are linked. Thanks for the feedback Stuart, and glad it was drinking well.